Now draw a smaller oval (egg-shaped) on the top right of the bigger oval�this will be the bunny rabbit�s head. Step 3 Now draw a circle on the back side of the bigger oval (for the bunny�s tail).... Now draw a smaller oval (egg-shaped) on the top right of the bigger oval�this will be the bunny rabbit�s head. Step 3 Now draw a circle on the back side of the bigger oval (for the bunny�s tail). Now draw a smaller oval (egg-shaped) on the top right of the bigger oval�this will be the bunny rabbit�s head. 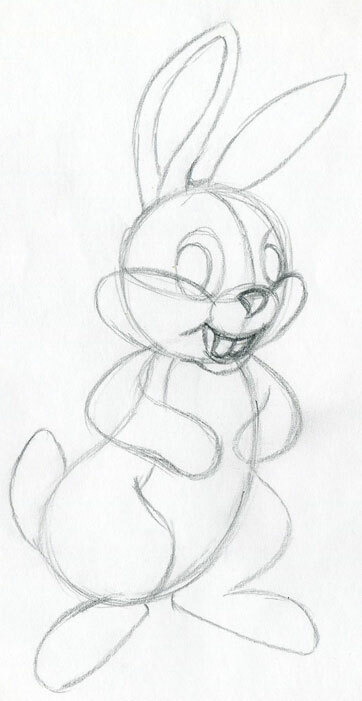 Step 3 Now draw a circle on the back side of the bigger oval (for the bunny�s tail).